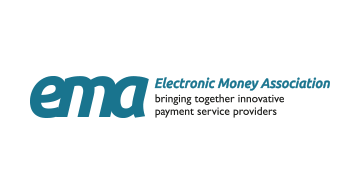 The EMA is the trade body representing the interests of e-money issuers and innovative payment service providers across the world for over 15 years. Members include large e-commerce businesses, fintech service providers, prepaid card issuers, digital currency businesses, AIS/PIS providers, merchant acquirers, bill payment providers, corporate incentive providers, mobile payment specialists, virtual currency exchanges and business to business payment services. The EMA acts as a forum for industry, enabling the sharing of know-how and the development of good practice. It represents its members in discussions with government, regulators, consumer bodies and other interested parties. The association strives to increase the competitiveness of the payments industry, and to provide guidance and compliance support for new products and services.